When OCBC NISP found it increasingly challenging to prevent cyber threats from attacking its business network’s 3,000-strong mobile users, the bank partnered with a technology and security company to inspect traffic and block cyber attacks across internet gateways and data centres. This is one of the main discussions at the Asian Banking & Finance Retail Banking Forum in Jakarta, Indonesia, attended by more than 70 delegates. 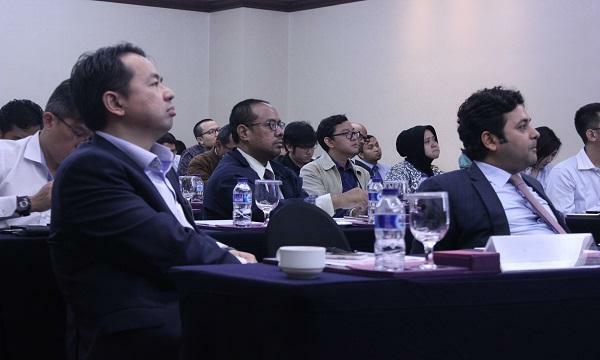 Analysts report that for the first time, technology-related risks have become the top concern for bankers in Indonesia, with cyber risks placing first and fintech disruptions placing second. PwC’s Indonesia Banking Survey 2018 showed that technology risk placed only sixth in 2017 whilst fintech disruptions placed twelfth. Despite the fear of fintech disruptions, many Indonesian banks have moved on to competing and even partnering with fintechs in providing customers the latest and most relevant digital solutions. Hendri Chow, vice-president and head of e-channel, OCBC NISP, said that in fact, the lines between banks and fintechs are becoming blurred as banks take on fintech roles and fintechs offer banking products. “This represents not just a shift in technology, but also a fundamental cultural shift. The fintech phenomenon proves how ‘others’ have become more bank-like, making financial services more accessible in new and existing markets. The existing banking model is unbundled,” Chow added. Sambit Pattayanak, Applied Predictive Technologies (APT) vice-president client services at MasterCard, highlighted that in a constantly evolving region, innovative industries and organisations cannot depend on past performance as an indicator of success. He said financial institutions are constantly reacting to new initiatives. However, he cautioned that leading organisations reported that over 50% of new initiatives did not break in 2017. The question then becomes: how do Indonesian banks squeeze out the most value from the risk they take in innovation? Edy Widjaja, partner at Bain & Company, said that whilst many banks in Indonesia have not yet gone on a total banking transformation, decisionmakers must remember not to lose customer focus as they proceed with the changes they want to implement. Widjaja said that digital transformations do not necessarily have to be new. He observed that many banks are undergoing transformations in format, but the existing branches have not yet adapted well enough. Whilst many countries in Asia are already shedding off branch numbers, the sheer diversity of the Indonesian demographic and the remaining number of unbanked citizens are keeping the branches where they are. And yet, more work needs to be done within branches. “The good branch tends to be customer-focused as the branch evolves. When you go into a good branch, you know where you should go. The less advanced branch, you go in and you go wherever you think is the right way and you may be in the wrong queue,” Widjaja added. In terms of branch rationalisation, Indonesia has also been moving along with other countries. For instance, Jakarta has a lot more branches than other areas, but new branches are becoming smaller and are being built in strategic areas with higher traffic. Currently, the regulatory environment in Indonesia seems to be working in favor of banks over fintechs. Widjaja noted that Indonesia is a bit unique in a sense that the regulator is still in some ways helping the banks, resulting in a bit more stable banking environment than the environment for fintechs. Eventually, as regulations loosen up for fintechs, banks must take this opportune time to develop their roadmaps for better customer engagement, product development, and service delivery. Whilst it may sound exciting for Indonesian banks that the regulatory environment is still in favour of them, analysts warn that it is better to take transformations slowly. Pattayanak said that it is important not to be afraid of innovation, but experimentation would be the best way to go about it. As banks go into trial and error mode, they must also simultaneously catch up with the speed of change in the bigger digital space beyond Indonesia. Mohit Mehrotra, partner, co-leader at Monitor Deloitte, said that there is a large digital wave that is coming through with the rise of TMD or Toutiao, Meituan, and Didi. These three companies have taken over the famous trio of BAT or Baidu, Alibaba, and Tencent, all of which have been investing in the large tech landscape in the country. “BAT was built on commerce, whether e- or social. If you look at the world of TMD, they are built on the world of sharing economy. So the narrative in the next four years is gonna be very different than the tech ecosystems that we’ve seen in the last four years that we saw in the country,” Mehrotra added. If Indonesia is to succeed in the growing sharing economy at all, it must encourage the use of application programming interfaces, or APIs, to capture the best of the market. Fransiscus Kaurrany, senior vice president at Bank Central Asia, said that increased interconnectivity is one of the major opportunities for APIs in Indonesia. Kaurrany said that the only threat this sharing economy poses is if Indonesian banks do not start to open their APIs, where fintechs can and will takeover. Bob Ananta, managing director of planning and banking operations at Bank Negara Indonesia, said that his bank has been meticulously grabbing digital opportunities as they come. Since 2017, Bank Negara Indonesia has been mobilising its resources to energise real digital transformation through initiatives such as the BNI Digination Program and BNI Hackfest activities. According to Ananta, his bank has been differentiating front-end channels with new digital channels and creating new business models and value chains for its financial solutions. Financial institutions who wish to become more digital must keep in mind that solutions should be useful, usable, and contextual. Ananta said that products and services delivered should enable customers to effectively and efficiently achieve their end objectives after using the products. In addition, products and services should be more personalised and should meet the exact needs of customers at the right time and place. “Even today, customer is king. And the most important thing is not product and services, but customer connectivity. Think about your core system or your main banking system. Is this easy to connect to your customer? Easy to connect to your partner or fintech? Easy to update everything on that agile or developer platform?” said Eichiiro Yanagawa, senior analyst at Celent. According to Yanagawa, times have changed from just mere transformation to collaboration. He said that Indonesian banks seriously need to think about their value proposition, recognise their competitors, and identify their real customers.